These fields provide valuable winter grazing for over two thousand Barnacle Geese that arrive in Sligo every year from north-east Greenland. If the geese are being constantly disrupted from their grazing by the noise of aircraft and helicopters they will not be able to consume enough food during the winter months to sustain them on their long and arduous migratory flight back to Greenland in the Springtime. 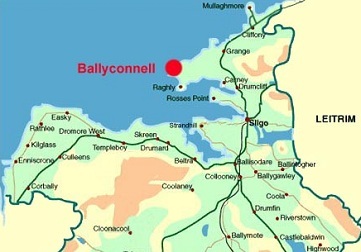 When transiting north from Sligo Airport pilots should plan their route so as to avoid the vicinity of the Goose Fields and when using the North Training Area all training flights should be operated well away from the Lissadell and Ballyconnell/Raghly areas. Instructors and pilots are advised to consider using the West Training Area whenever possible.